Brinjal/ Eggplant is deep purple vegetable looks so attractive and tasty. Eggplant has lot of benefits. It contains iron, calcium and other minerals will enhance a good flow of blood and nourishes the brain. It contains more fiber, which protect the digestive tract and protect us from cancer. Before I am not a big fan so that I didn't try this Brinjal/Eggplant rice for long time. Aftre trying this Vaangi bath i like it a lot. Now i like to make this again and again. I used to try this when i have more eggplant at home. 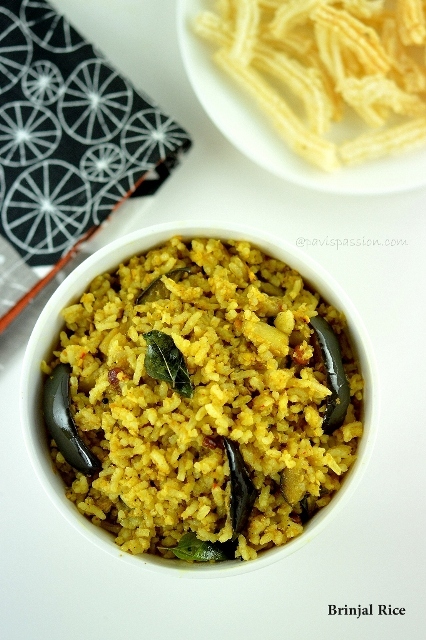 Eggplant rice is quite simple rice and its special masala flavour makes us to eat more. 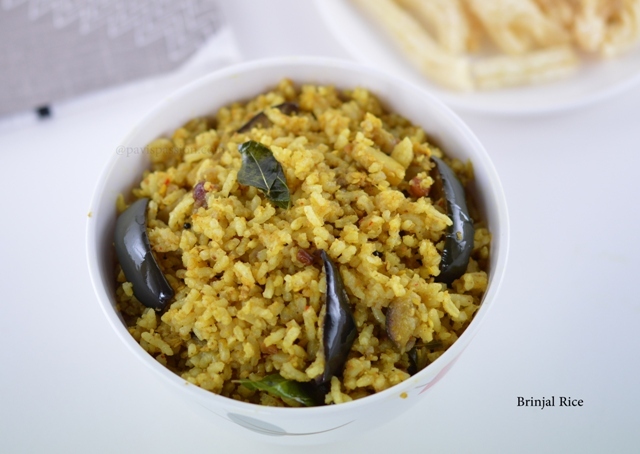 Check out this brinjal rice recipe, those who hates Eggplant will like this Vaangi bath for sure! 1. Heat 1 tbsp of oil in pan, add Channa dal, urad dhal, Hing, Coriander seeds, Red chilies, Asafetida, and sesame seeds one by one and dry roast it until little brown and then switch off and add the grated coconut and keep it aside. When it get cooled grind into powder. 2. Soak tamarind in water and extract the juice from it. Chop the brinjal/eggplant into slices and keep it immersed in water. 3. 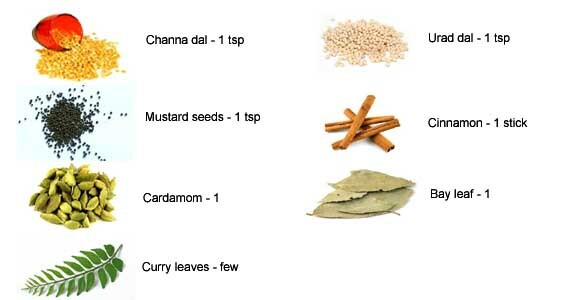 Heat oil in a kadai, add the tempering mustard, channa dal, bay leaf, cinnamon stick, cardamon and curry leaves and fry until roast. Then add the chopped brinjal leaves and saute for a minute. 4. Add turmeric powder, tamarind extract and enough salt and cook the brinjal until soft. 5. Add the grounded mixture and saute for a while. 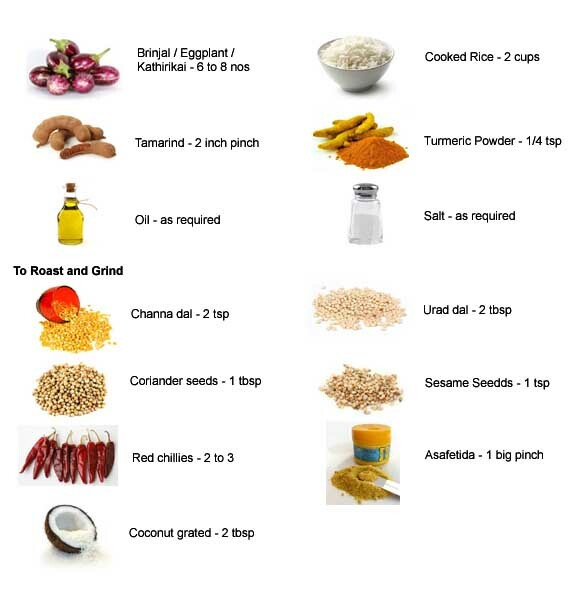 Add the cooked rice into it and mix well with 1 tbsp of gingely oil. Serve hot with any stir frys or simply with papads and vadams.